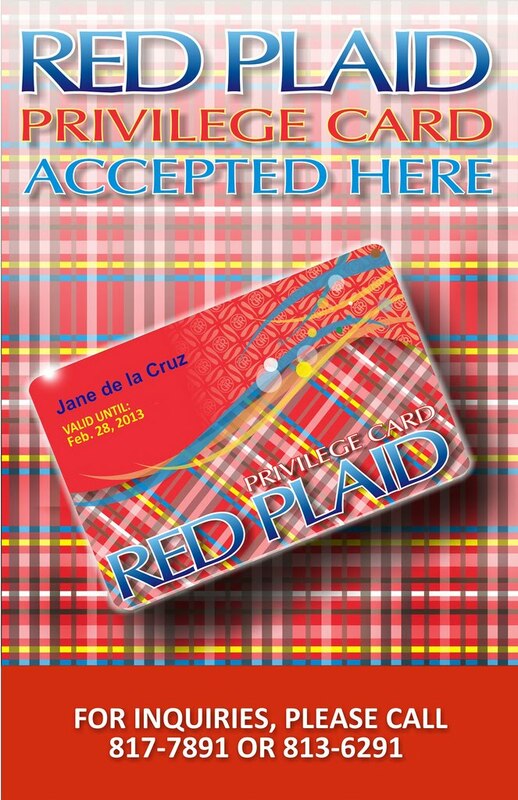 The Assumption College Family Council project presents – the “RED PLAID CARD”, an Assumption privilege card which is honored in popular dining, beauty, health care, retail, entertainment, travel establishments and so much more. 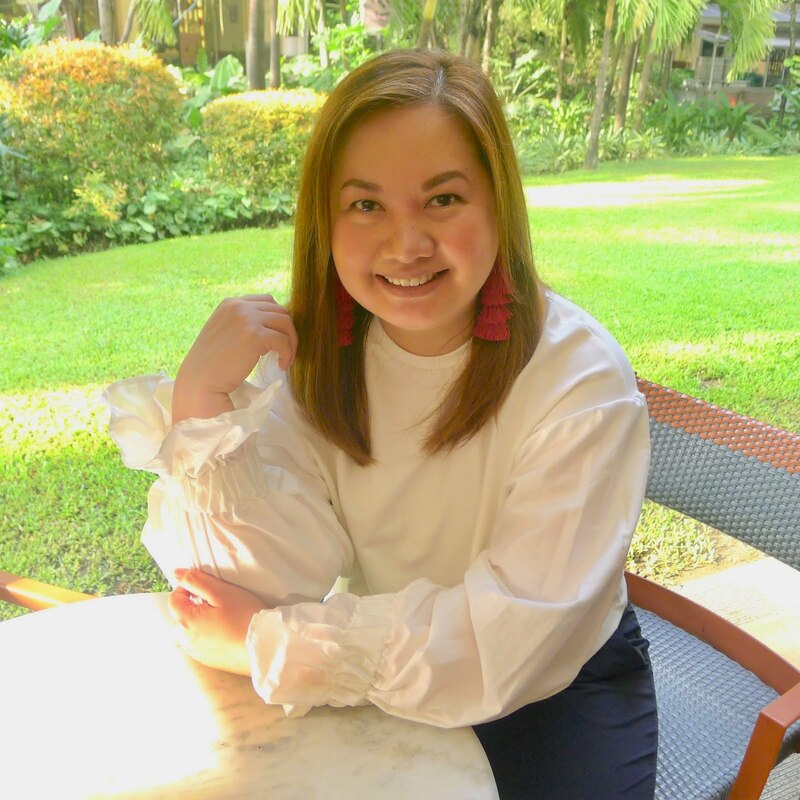 For just PHP 500, and with a one year validity period (February 1, 2012 – February 28, 2013), card holders are treated to perks, freebies and discount deals from hundreds of establishments. Please check their Facebook page for the growing list of partner establishments. 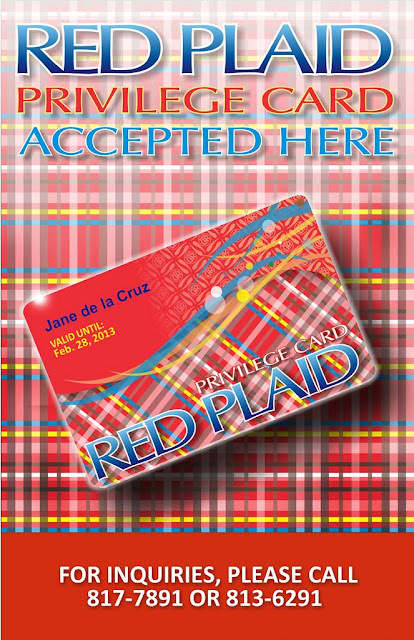 By getting your own personalized RED PLAID CARDS, not only will you enjoy great and exciting privileges, but you will also be helping numerous beneficiaries since proceeds from this project will support the Hain Feeding Program of the Jubilee Preschool Learning Center in Boni, Mandaluyong, an Assumption mission school. Part of the proceeds will also go to support the varsity teams and student council projects. For more info, check out the AC BED Facebook Page or call the Family Council office at (+63-2) 817-7891 or (+63-2) 813-6291.